Are You Listening? is a video series from professional mastering engineer and iZotope Education Director Jonathan Wyner. though this series Jonathan guides us through audio mastering principles like critical listening, how to set up your room, and using techniques like EQ, compression, and limiting in mastering. In this free video tutorial iZotope’s Geoff Manchester shows how to use tools from Exponential Audio, the newest member of the iZotope family, for post production. Geoff focuses on how to blend ADR (automated dialogue replacement) within a new acoustic environment, and how to artfully situate foley and sound effects against footage with reverb. In this free extract from the Principles Of Mix Bus Processing tutorial from PureMix Grammy award winning mixer Fab Dupont explains his use of a Pultec EQ as part of his approach and philosophy to 2 bus processing. The team at Slate Digital are very pleased to announce the amazing sounding TH-U Slate Edition guitar amp, cabinet and effects emulations is now available as part of the Slate Everything bundle as well as a stand-alone purchase. I love a good amp-sim so check out the video where I dig in and create 3 very different, yet classic guitar tones. Back in late 2017, I began a series of articles covering how to record various string instruments from ukulele to double bass and I promised to write about recording a harp someday. Today is that day! In this article we show you everything you need to know about Sonarworks Reference 4, how it works, how you can easily harness its power to improve your workflow along with a guided tour of the application explaining each of Reference 4’s curves. We also walk you through the things you need to do like speaker placement and acoustic treatment to the room before you turn to Sonarworks to finish off the process. In this free video tutorial, brought to you with the support of Synchro Arts, you can see how I use a rough vocal I recorded with alternate phrasing as a guide to re-process the original vocal sung by someone else. The result is a new vocal part, with the original signer, singing my new melody and phrasing. If this isn’t magic, then I don’t know what is! Sonnox Oxford Dynamics Classic Mode - Some People Say It Sounds Like A DBX 160, Does It Really? 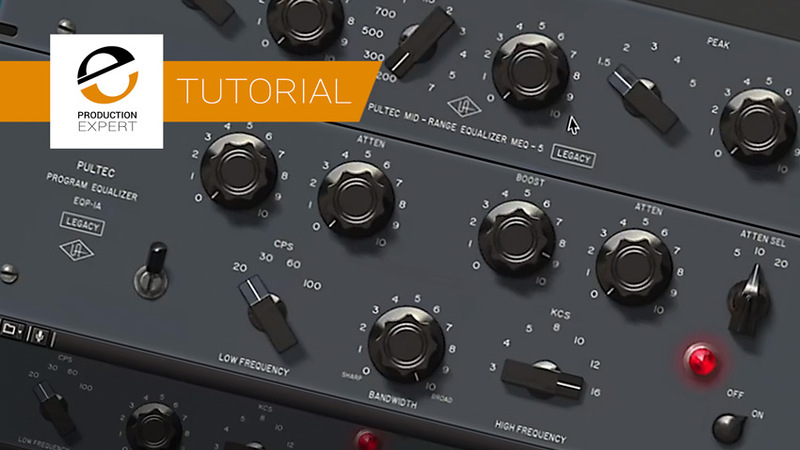 In this free tutorial Production Expert team member Julian Rodgers explores Sonnox Oxford Dynamics’ Classic mode, which some people say makes it sound like a DBX 160. While that isn’t strictly true, this general purpose mode doesn’t sound a million miles away from that, the big difference is that it can sound like pretty much any other compressor too. The process of soundproofing a room isn’t simple and should never be confused with acoustic treatment. Soundproofing often involves building a new room inside of an existing structure, these are referred to as a room-within-a-room. These types of structures are designed to decouple (isolate) the new room from the main structure limiting airborne sound energy from transmitting out of the studio to the outside world and vice versa. 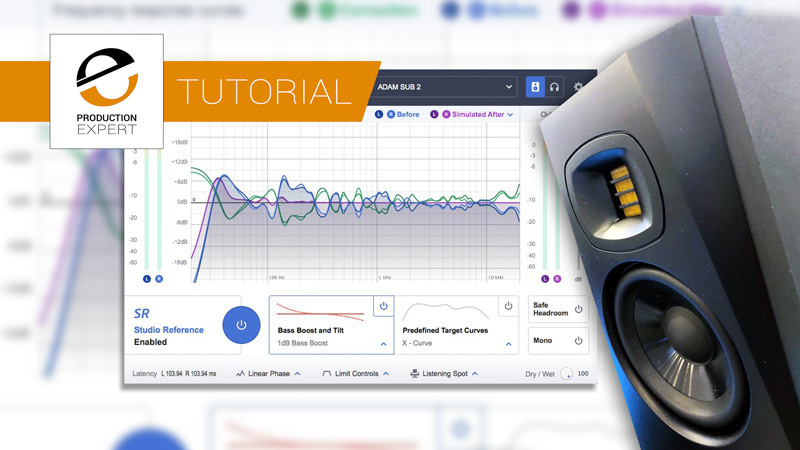 In this free video tutorial we show you a simple way of sculpting the perfect tune and notation of heavy vocal tuning effects by running an instance of Melodyne into Antares Auto-Tune Pro. Without doubt Auto-Tune Pro is the product to reach for to produce that distinctive Cher / T-Pain hard vocal effect. Melodyne on the other hand is by nature a very easy to use surgical tool for tuning. In this tutorial we utilise the strengths of both products. In this free extract from PureMix Fab Dupont does a side by side comparison of a real EMT plate reverb and a UAD plugin of the same device. In this free tutorial Production Expert team member Julian Rodgers uses a combination of Sonnox Oxford plug-ins to add polish to a vocal, including the excellent and often overlooked Oxford Reverb. Using Virtual Players like the UJAM instruments as opposed to using static content like loops can help generate ideas when songwriting because you’ll probably be presented with ideas you woudn’t have thought of yourself. A bit like playing with other musicians. Need big gang vocals for your track but you only have one vocalist? In this article learn about a trend called the Millennial Whoop, which appears to be taking over pop music and in a video tutorial we explain a production concept we refer to as “The Room Of People Singing Happy Birthday” and show you how to get gang vocal results just like you hear in the charts today, but with a single microphone and one vocalist. This is an especially cool production technique for home studio producers. In this video with the support of Universal Audio, Paul Drew shares his thoughts and ideas when it comes to mastering the track Thought of Love by Rooftop Renegades. In this final part in the series, Paul shows us how he uses the SSL Bus Compressor to glue to mix together then he reaches for the new Brainworx bx_masterdesk, which he uses as a “one stop” mastering processor. Process Audio Have released their first plug-in. Sugar is a multi-band processor which adds polish, warmth, weight or sizzle and unlike some other plug-ins which offer similar processes this gets the balance between ease of use and control just about right, you could even say it hits the sweet spot between speed and control. In this free video tutorial, brought to you with the support of Plugin Alliance, Production Expert team member Julian Rodgers continues his look at DS Thorn. A very capable synthesizer plug-in which offers a wealth of sequencing and arpeggiation options with comprehensive modulation and effects. In this second look Julian turns his attention to the filters, including the clever Harmonic Filter. Watch this free extract from a video from pureMix in which Andrew Scheps explains in detail the facilities, signal flow and operation of his gorgeous Neve 8068 MkII, one of the last class A and AB consoles from Neve and one of the first inline consoles. In this free video tutorial, brought to you with the support of Plugin Alliance, Production Expert team member Julian Rodgers takes a look at DS Thorn. a very capable synthesizer plug-in which offers a wealth of sequencing and arpeggiation options with comprehensive modulation and effects. In this first look Julian concentrates on the oscillators and the ways in which they offer far more options than just sawtooth and square. Destructive phase issues caused by timing differences between mics don’t always sound obvious, and how should you go about correcting them when you have the tools? Hear the difference and see how to approach this in this free demonstration tutorial.